Are you losing weight while training? 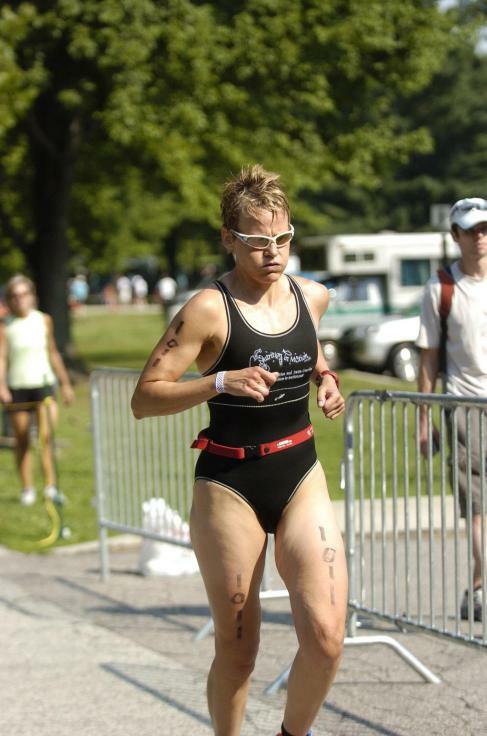 I work with many athletes training for triathlon, marathons, Ironman triathlons or ultra cycling or running events. With each one, I work on hydration and re-hydration. Are you losing more than 1% of your body weight while training? Meaning, you went out for a 2-5 hour ride, and you lost 4 pounds (and you weight 160 lbs)? I started working with a client recently who was consistently losing 4 pounds on his longer training sessions. After a few sessions, he is now down to 2 pounds and his recovery is better and his next day sessions are better. When looking dehydration, losing weight thru sweating is just one of the symptoms to look at. I reviewed the signs of dehydration in another blog post, but will review some of them now as losing weight from water loss is only one indication you may be dehydrating. And this can be corrected! Signs of dehydration are not to be taken lightly as over 3% dehydration can cause you to faint and fall into a coma. – Your power output drops. If you are using wattage, you won’t be able to keep the same pace, or the same wattage per stroke, or the same bike gear. – Stiff neck and shoulders, and stiff hips. This is really apparent when running, or when getting off the bike to go run. – Brain fog – you are basically a bit loopy. You can think but not not well. Your head is in the clouds so to speak. It is not because you are bored on the bike! – Chills – this is dangerous and you really should stop, seek ice and shade. – Your urine is a dark amber color. – You pee often – You go to pee every 45-60 minutes, or you don’t pee for 4 hours after stopping. Your goal is to lose less than 1-1.5% of your body weight during exercise. For someone who is 140 lbs, that is less than 1.4 pounds. For someone 180 pounds, that is 1.8 pounds. Here is a Calculate your sweat rate you can use to figure it out…..mine may be the only one that includes your intake of electrolytes! Funny thing, I had a client call me last week saying he just reviewed his hourly goal based on his Calculated sweat rate from last year. It was a whopping 59 ounces per hour. I think he may be drinking more than he would be pedaling!! Or stopping to refill 2+ bottles every hour! Wow, that is way too much! So what does one do when the sweat rate test results in needing many more than 28 ounces of fluids per hour? I say, increase your electrolytes. Your body does not have the ability to take in that many fluid ounces per hour, and I think you would be stopping too often to refill the water bottles. Or peeing too frequently. For both of the clients I mentioned here, one losing 4 pounds, the other needing way too many liquids, we adjusted the electrolyte intake to keep up with the bodies sweat rate. And when you sweat, you are sweating electrolytes not just water. So the one is now down to 2 pounds from 4 in just a weeks time. The other we adjusted and keep adjusting his custom drink so he could stay at 28 ounces of fluid per hour as we adjust the electrolyte choice and intake so he stays at 2 pounds lost over 5-9 hours. NOTE: the customized drink is from Infinit Nutrition and if you use the code nutritioninmotion, you get a 10% discount! This way you can put the electrolytes in the drink, and ditch the capsules. Or like me, take less capsules! Happy training and not melting!